When designing what I am going to do for a makeup look, I like to use face charts so I can see what it will look like before I makeover a face. This is also a good way to record which different makeup looks I have done. M.A.C. and other cosmetic companies make their own face sheets as well. At Paul Mitchell Academy, we have them too. For the Photo Stylist Contest, I have to make a face sheet for each of my makeup looks, so here are my three sheets I made for the Galaxy theme, the peacock theme and the mermaid theme. I added my own artistic flair to it of course and my lettering. I love the colors I used for the hair and the shading I can do with my PrismaColor Markers. Forgetting our dreams is kind of like planning a big trip, packing all of our bags, setting up itineraries and all, finally getting on the road and realizing that we didn't map out the trip and that we have no possible way of finding how to get to our vacation destination. 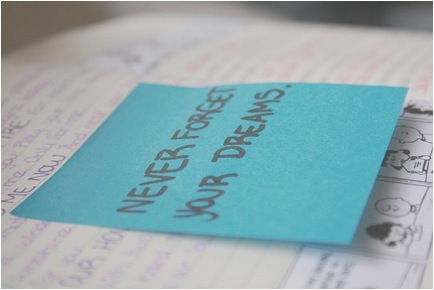 Never forget your dreams, because your dreams are what guide you through life. Life is filled with many stresses and it sometimes may be easier to put our dreams aside and make as stable an environment as possible for ourselves and our loved ones, instead of keeping the faith and pursuing what is in our hearts. When we forget our dreams, we say to ourselves that we aren't important. We say to ourselves that we choose not to live life to the fullest extent and we say to ourselves that we have no hope or faith for our future. Pursuing our dreams is what defines the real, true quality of our lives, because they allow the person at our deepest core to surface and live.